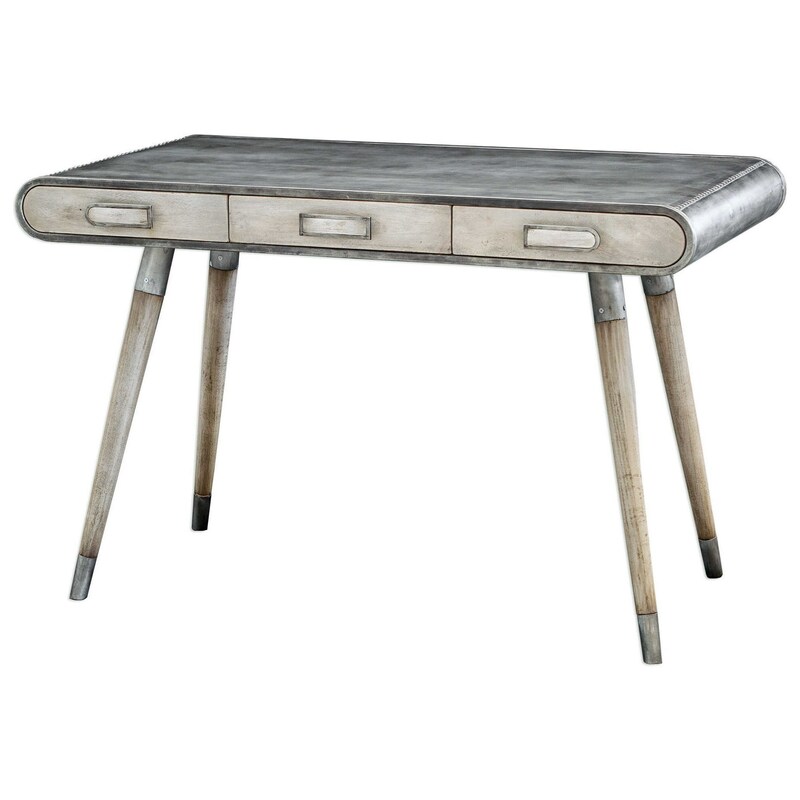 Retro Aviator Inspired Writing Desk In Solid Mahogany Wood With A Soft Gray Wash, Wrapped In Sheet Metal With Riveted Details In A Lightly Burnished Finish. The Accent Furniture Locklear Retro Aviator Writing Desk by Uttermost at Dunk & Bright Furniture in the Syracuse, Utica, Binghamton area. Product availability may vary. Contact us for the most current availability on this product. Finish & Paint Options Solid Acacia Wood Finished In A Warm Brown Finish With A Light Whitewash Glaze. Browse other items in the Accent Furniture collection from Dunk & Bright Furniture in the Syracuse, Utica, Binghamton area.